Vince Carter was the player who put the Toronto Raptors on the map, but Chris Bosh is the one we are going with as the franchise’s greatest player. Honesty, this one is a little tough for us. It is not that we don’t think that Chris Bosh should be ranked at this spot. We do. It just is we aren’t positive that he is exactly eligible…or that he even wants to be right now. 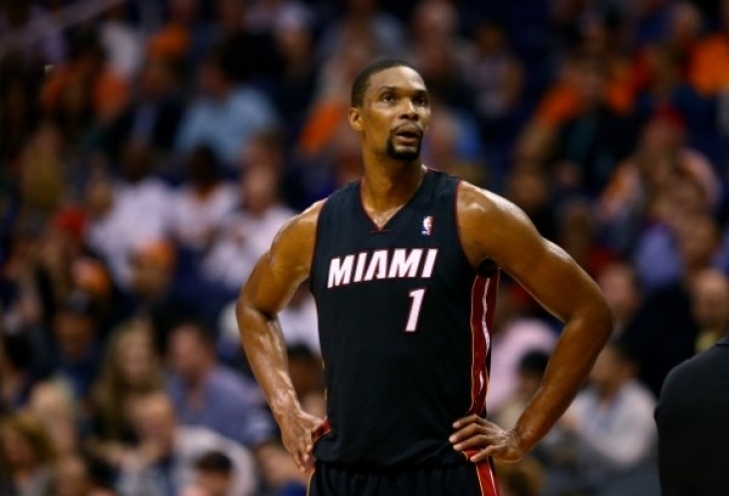 Do we place Chris Bosh in our 2021 Futures? We have been putting this one of for a while but we have to ask the question now that the Miami Heat has officially waived Chris Bosh, do we put him on our 2021 Futures or do we wait to see if he officially retires? Bosh thanked the fans of Miami in an open letter on his website but did not indicate whether he intends to retire from professional basketball or not. The former alumni of Georgia Tech was forced off of the court due to blood clots at the 2014-15 All Star break and it would happen again the year after. 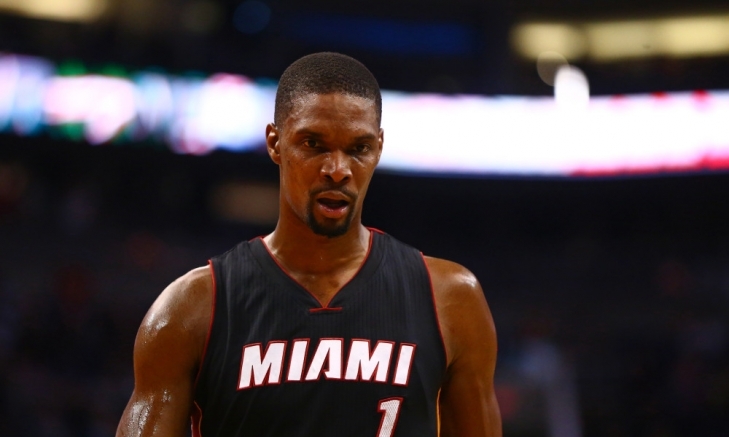 Bosh was not medically cleared to play last season. Should Bosh never return to the NBA he ends a career with two NBA Championships and eleven All Star Game appearances. The odds are strong that he will be entering the Basketball Hall of Fame, though if this is the end, is he a first ballot entry? Bosh would become eligible in 2021, the same year as Kobe Bryant, Tim Duncan and Kevin Garnett, which already was the most loaded class in the last twenty years. Throw Bosh in there and we may have four first ballot entries with well over ten titles between them. So, do we wait to put CB4 on our 2021 Futures list or do we assume that his playing career is over? We need a week to think about this one, but we would love to hear your thoughts. Our slow and methodical process of putting together the top 50 players from every franchise continues and it is just in time for the upcoming NBA season. Today we present one of the newest franchises, the Toronto Raptors. The Raptors have never won an NBA Championship, nor have they been to the Finals but as of this writing have had their best string of regular and post season success in the last few years. With a team this young this is not exactly an All Star team but that is to be expected and it will be fun to watch this list fluctuate in the coming years. The entire list can be found here, but as per tradition we are offering the top five here. Up next is the recent loser in the American League Wild Card Game, the Minnesota Twins. As always, we here at Notinhalloffame.com we encourage you to take a look at this new list and offer your opinions! Regular visitors of Notinhalloffame.com know that we are slowly working on the top 50 of every major team in the NHL, NBA, NFL and MLB. Once that is done we intend to look at how each team honor their past players and executive. As such it is news to us that the Miami Heat have announced that they are retiring the number 1 of Chris Bosh on March 26 when they host the Orlando Magic. Bosh joined the Miami Heat after the 2009-10 season where he joined Dwayne Wade and fellow Free Agent, LeBron James to make a superteam. Bosh was named an All Star and helped the Heat reach the NBA Finals where they would go down to defeat against the Dallas Mavericks. He would however help the Heat reach the Finals the next season and this time they would win by defeating the Oklahoma City Thunder. The Heat would win again in 2013 with a win over the San Antonio Spurs though they would lose to San Antonio the following year in the Finals. James would rejoin Cleveland, but Bosh remained at an All Star level and he was named one in all six of his seasons with Miami. He played for them last in the 2015-16 where his year was shortened when he suffered blood clot issues where and he would never play again. Overall as a member of the Miami Heat, Bosh played 384 Regular Season Games with an 18.0 Points per Game Average. Bosh becomes the fourth person to have his number retired following Alonzo Mourning, Tim Hardaway and Shaquille O’Neal. We here at Notinhalloffame.com would like to congratulate Chris Bosh for earning this honor.